If you’re looking for a US-based destination that is great to visit year-round, then you’ve found it. 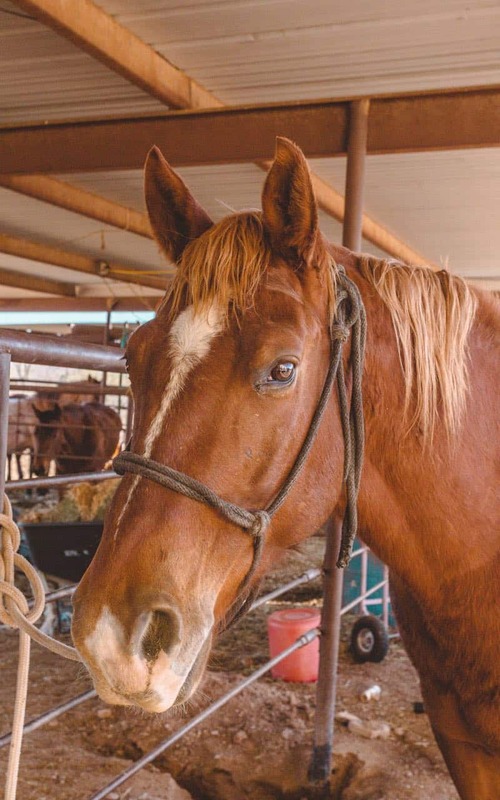 Phoenix has been up and coming for a few years and is growing. 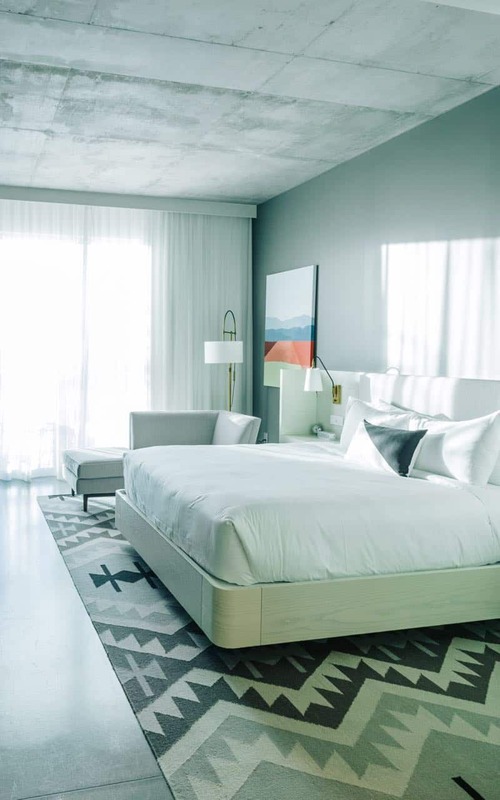 There are modern apartment buildings being built everywhere and new restaurants popping up. The surrounding cities are just as cool: Mesa & Scottsdale both have their gems and there are hiking trails seemingly everywhere. We also couldn’t believe how good the food was or how many options there were. Phoenix weather during winter is pretty much perfect though fairly hot in summer. 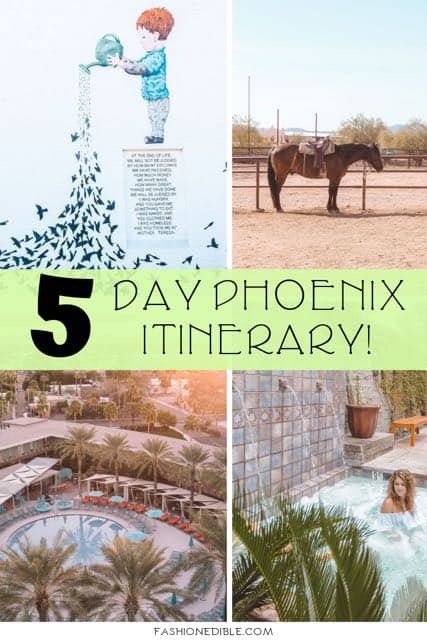 This 5 day Phoenix itinerary will take you on a journey where luxury meets adventure. 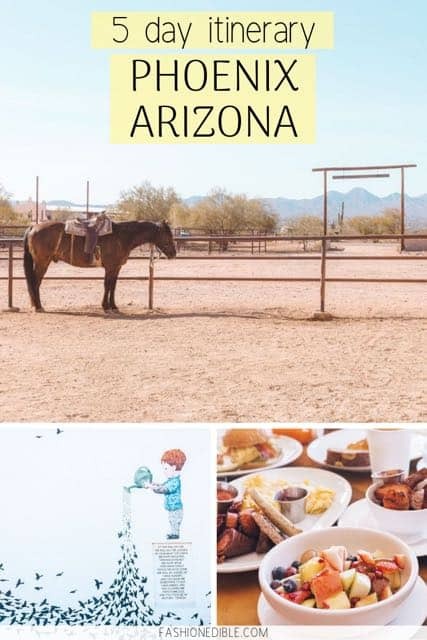 If you’re planning a trip to Phoenix, make sure you check out our foodie guide as well as things to do in Phoenix Arizona and our Arizona road trip guide. 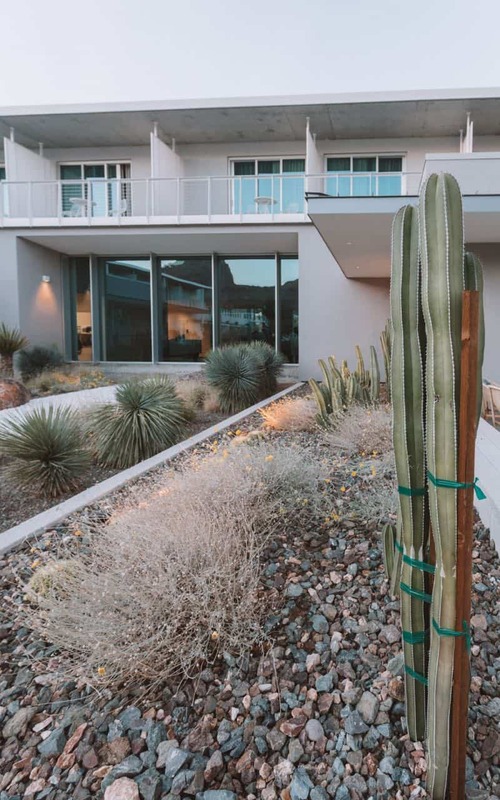 You’ll get to experience true desert luxury at Mountain Shadows. 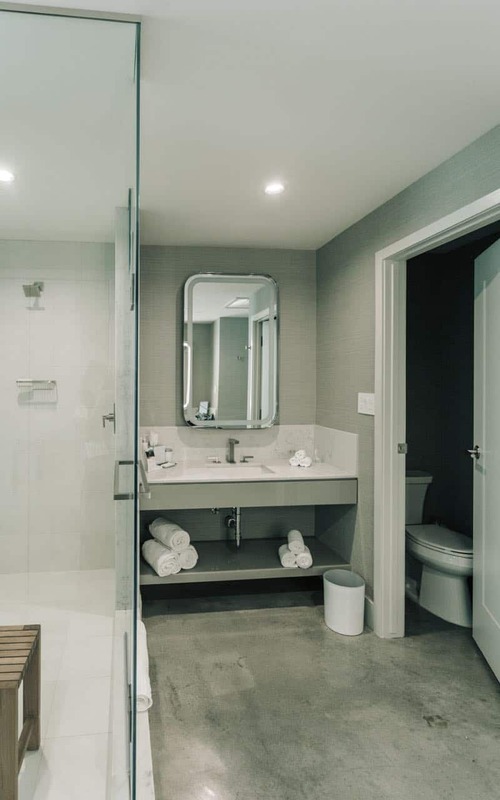 The rooms are immaculate and modern with a gorgeous shower and vanity. 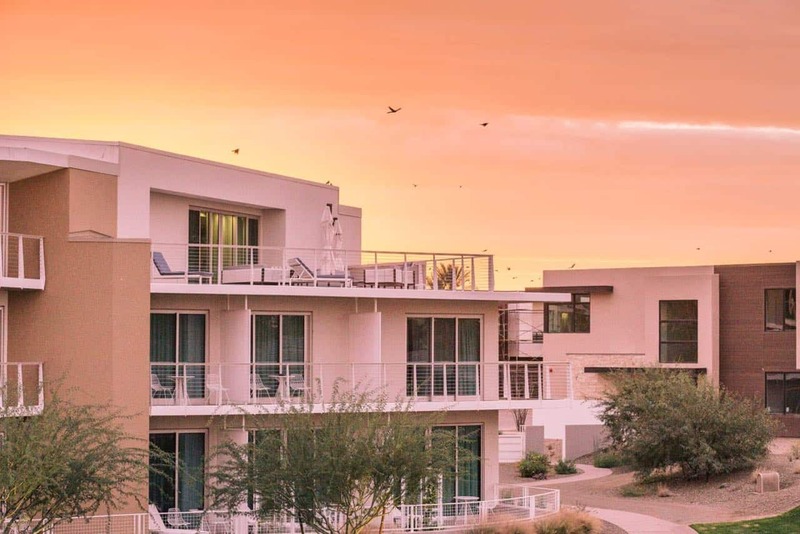 You’ll witness deep orange and pink skies if you watch the sunrise from the rooftop. 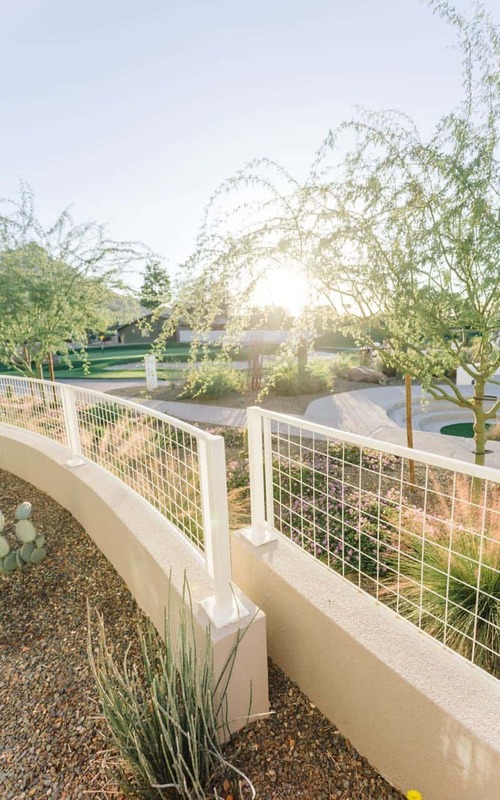 Mountain Shadows has a beautiful pool set against a mountainous backdrop and is conveniently located right outside of Scottsdale. It also offers up a convenient restaurant located on-site called Hearth ’61. Grab breakfast one morning (Day 3) and dinner one evening (Day 1) for the complete experience. Mountain Shadows also has a coffee bar that serves delicious cappuccinos. 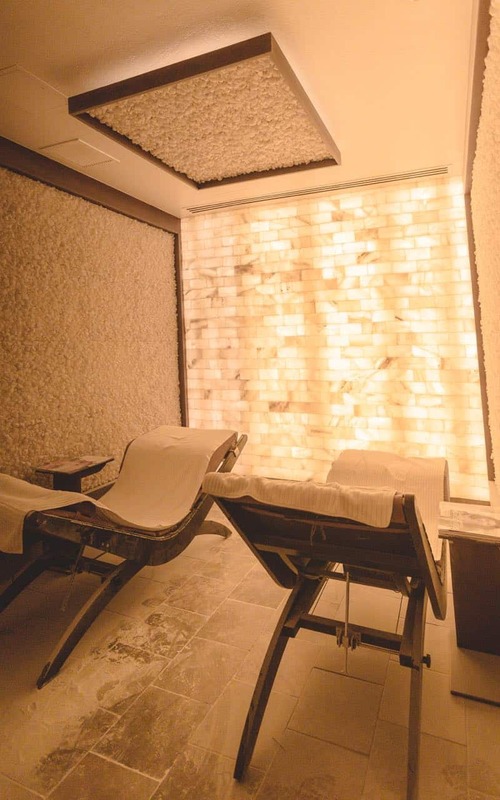 What to do: Spa Avania at the Hyatt Resort & Spa offers some of the best facials, massages and a Himalayan salt room. 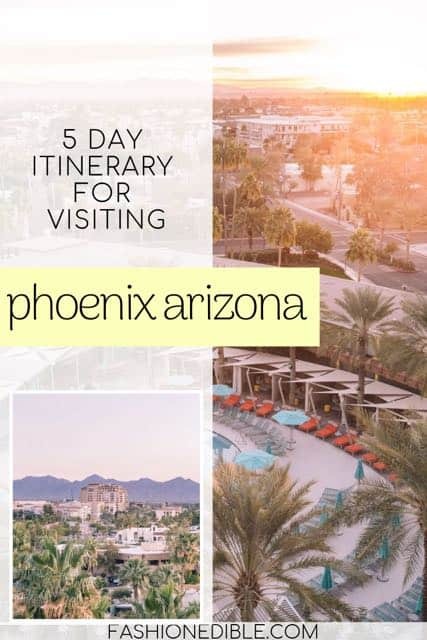 Reserve an appointment before you travel to Phoenix so you can use this time to relax after a day of travel. This spa has everything including showers, a pool, hot tub and so much more. You can easily spend a few hours here and we would definitely recommend it for your first day. 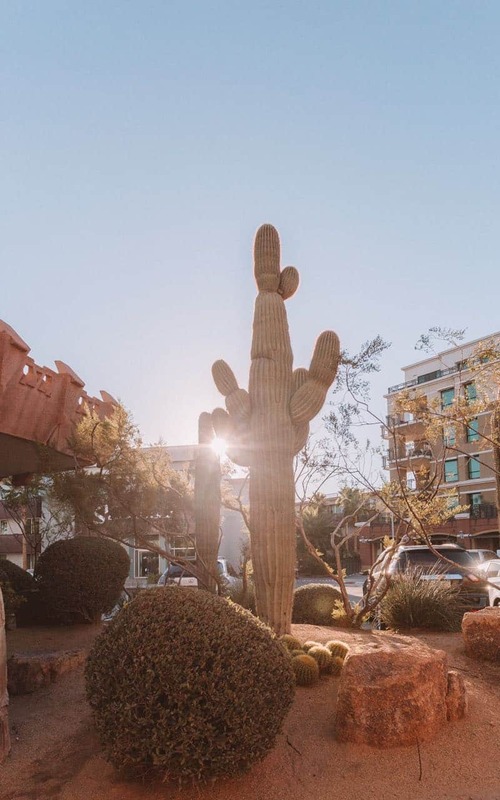 Where to eat: There are plenty of options but some of our favorite spots were Queen Creek Olive Mill and Postino Highland. 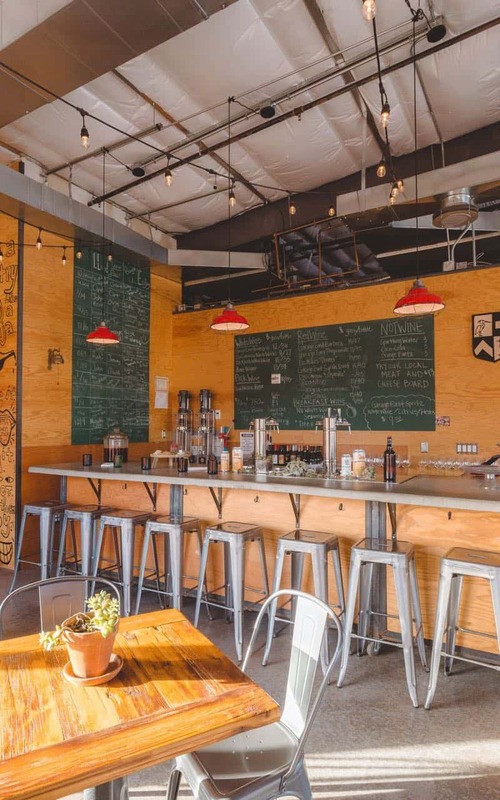 Check out this detailed guide on places to eat in Phoenix. 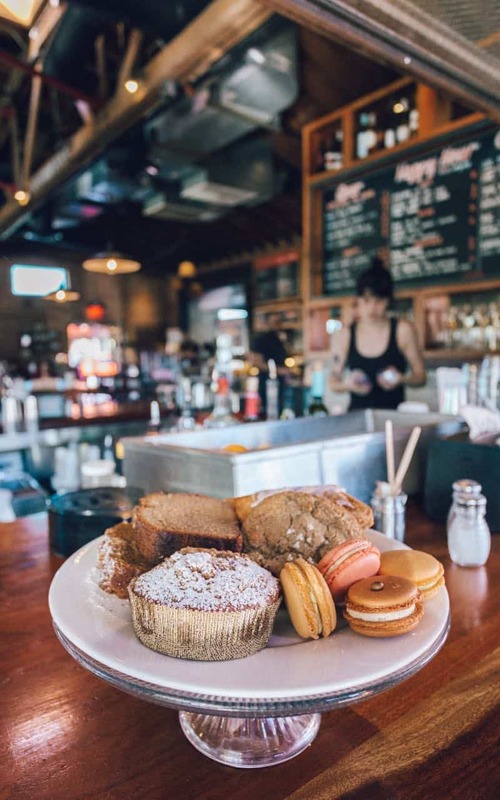 What to do: Fresh Foodie Trail – You can either do the Fresh Foodie Trail on your own or you can go through a tour company like Detours of the West (tour coming in 2018). 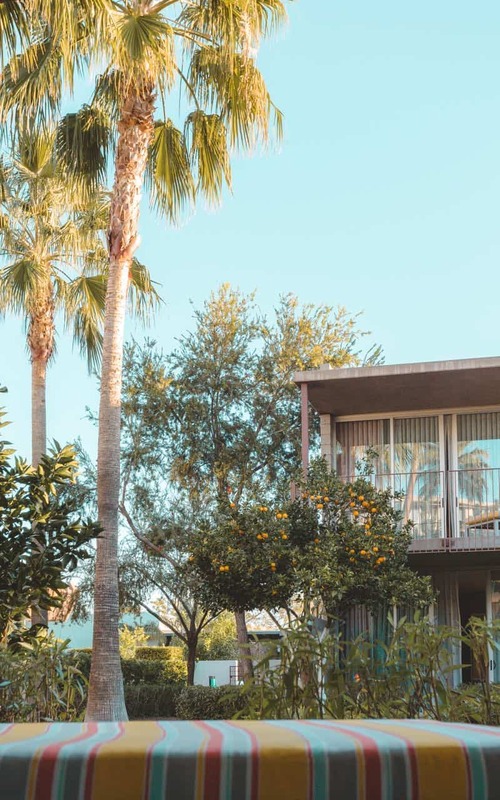 The Fresh Foodie Trail will take you through some pretty amazing places like Queen Creek Olive Mill, Superstition Farm, Schnepf Farms, Agritopia and Hayden Flour Mills. You’ll get to taste olive oil, buy coffee, grab some ice cream and do numerous other foodie related things, all locally sourced products. It’s really an amazing experience and if you go on your own, you can take the trail at your own pace and turn this tour into an entire day activity from breakfast to lunch to dinner (and dessert!). 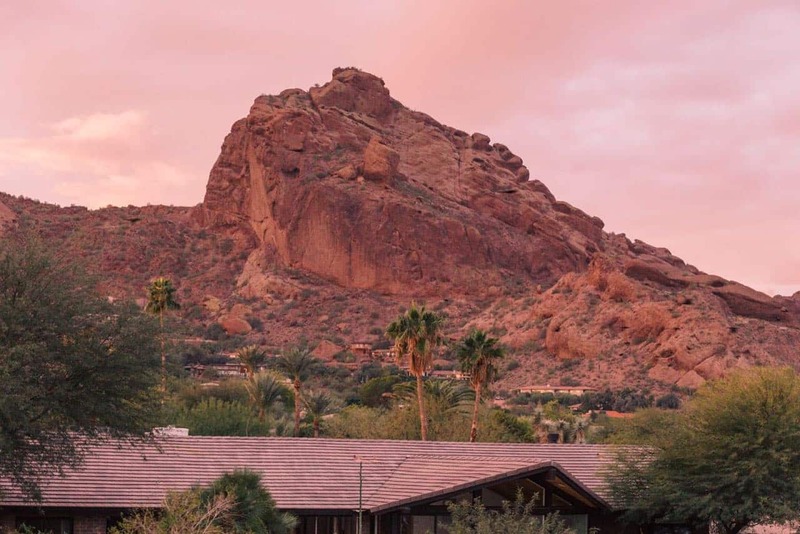 If you go with a tour company, your tour will end late afternoon and you can have the remainder of the day to explore other parts of Mesa or Phoenix. Hotel Valley Ho is actually the sister hotel of Mountain Shadows. 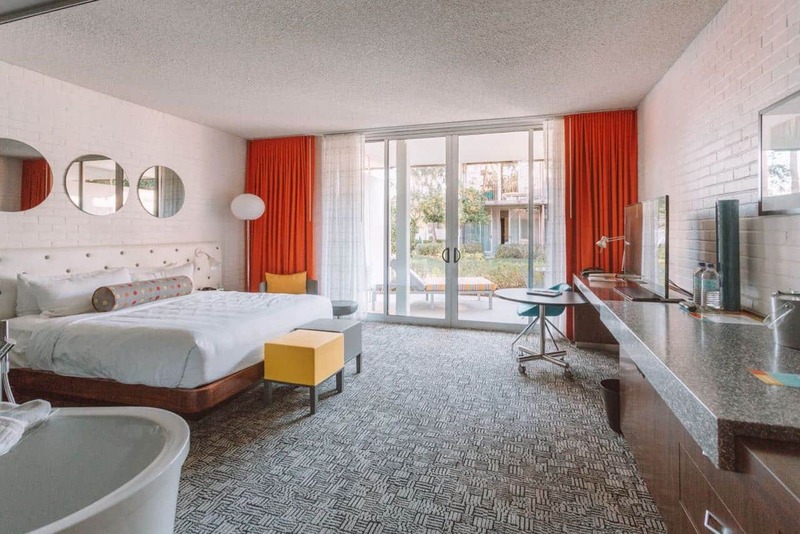 While Mountain Shadows has modern furnishings and the coolest concrete floors AND ceilings, Hotel Valley Ho features modern, angular furnishings in bright colors. The grounds are cheerful and there are two pools located on the property. 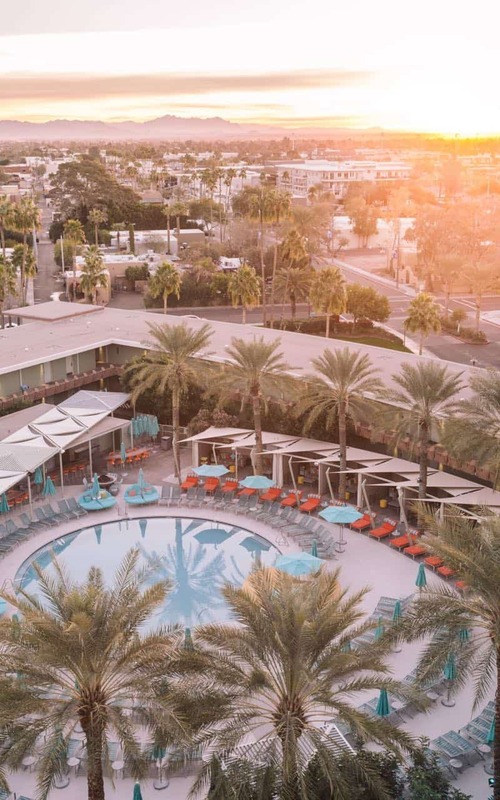 The sunrise was spectacular from this hotel as you can see in the photos below! 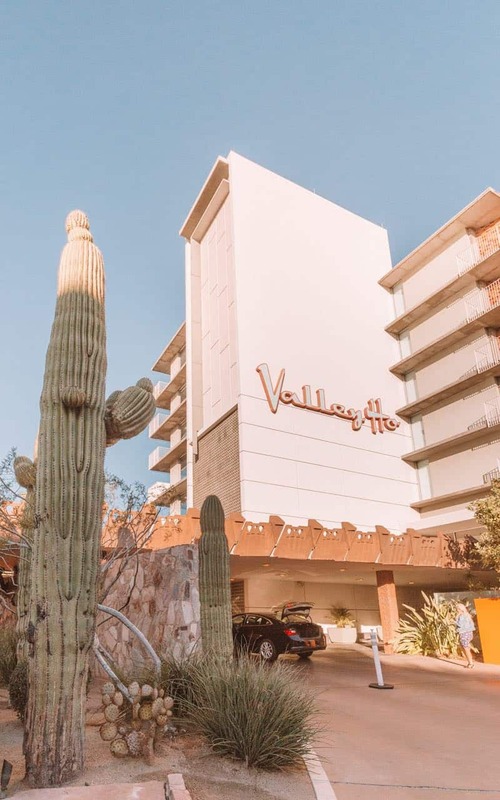 Hotel Valley Ho is located in Scottsdale as well and sports a hip restaurant called Zuzu. Grab dinner here (Day 3) and breakfast (Day 5) to get the full experience. What to do: Hike, hike and more hiking. The Phoenix area is full of beautiful desert hikes. All Trails has quite a few great ones listed so pick a few and go. If you’re headed there during the middle of summer (not recommended), make sure you bring A LOT of water. The Phoenix sun was hot even when we visited in winter (January) so I can only imagine how scorching it is in summer. 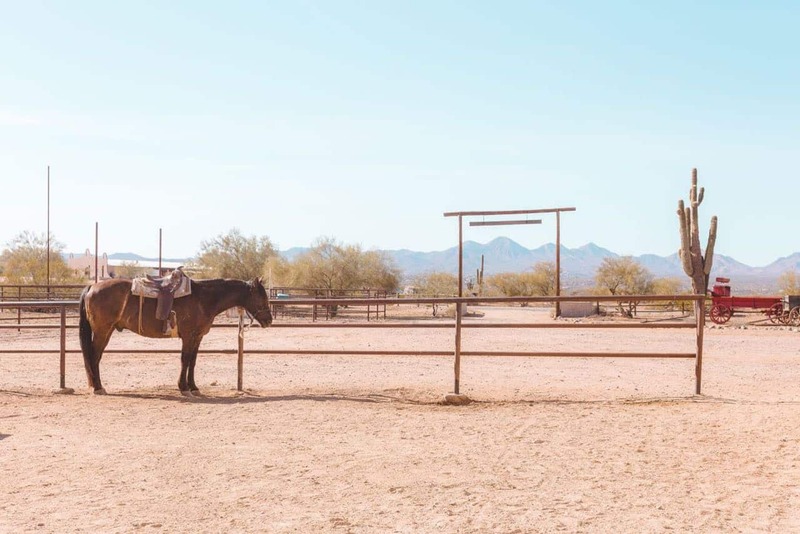 If you’re tired of hiking, you can head to Fort McDowell Adventures and take a tour through the desert. You can opt for a Segway tour, horseback ride, or off-roading in a Tomcar. Each adventure has its own appeal! 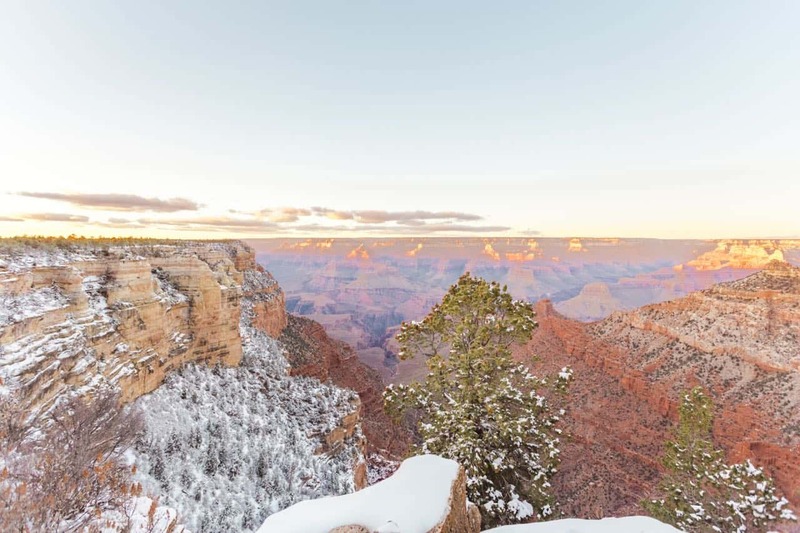 What to do: Reserve a Grand Canyon South Rim tour ticket with Detours of the West. This tour is an all day event which starts early in the morning and ends late evening. 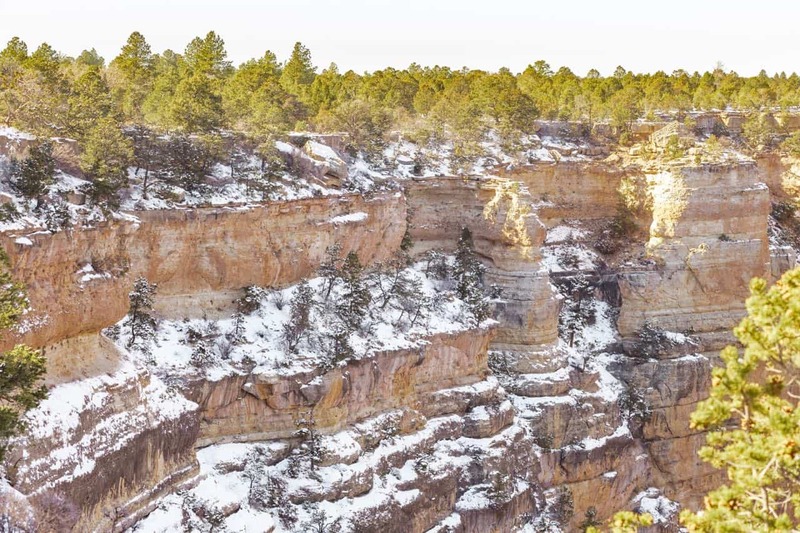 This tour encompasses the Grand Canyon AND Sedona (among a few other highlights) and gives you a little taste of each. It’s truly an impressive tour and is reasonably priced and includes transportation, lunch, park fees and bottled water! 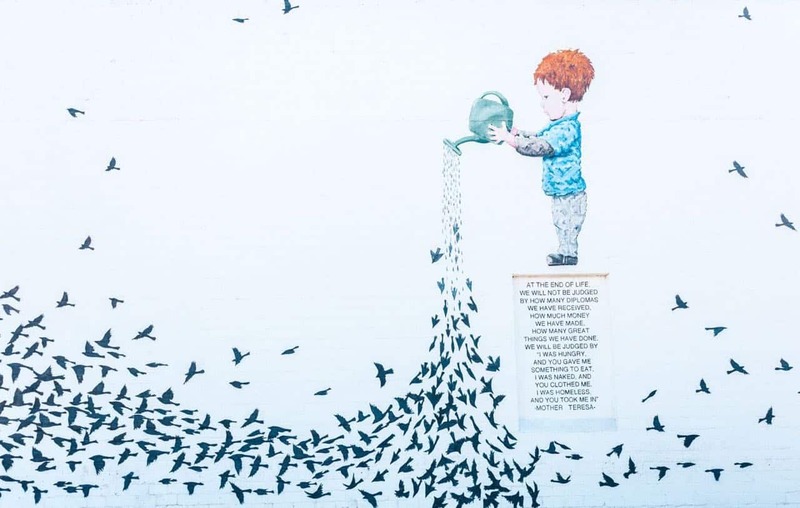 What to do: Head to downtown Phoenix to explore this revamped city. Walk around and admire all the wall art and head over to Phoenix Public Market Café when you’re ready to sit and relax before your flight back home. What beautiful photos! I love all the sunset shots especially! 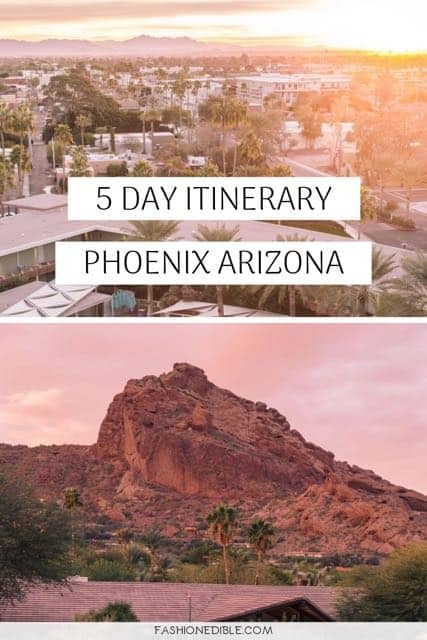 🙂 My husband’s family lives in Mesa just outside of Phoenix, so we’ll have to check out some of the places you mentioned on a future trip! I’ve been so close to visiting Phoenix a couple of times now but have never ended up going. Your photos are STUNNING and reminded me of why Phoenix was on my list to begin with. I really have to make it a point to get there! 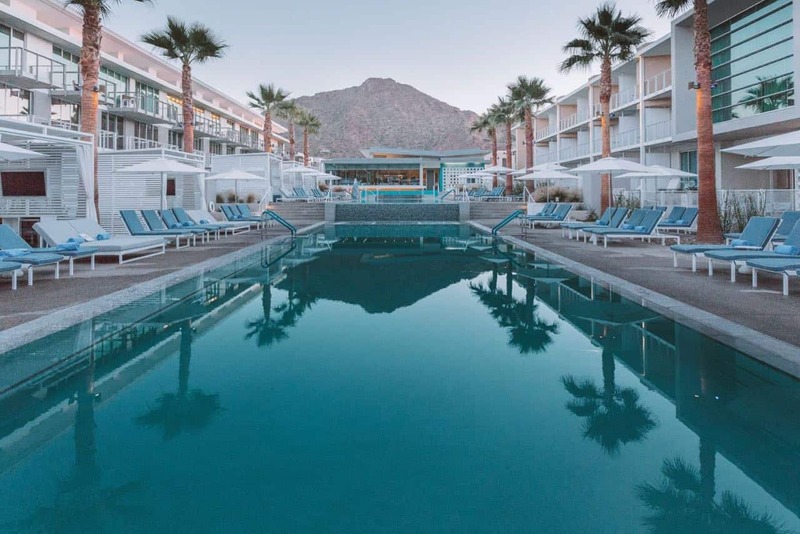 Hotel Valley Ho looks deliciously vintage – I love it! 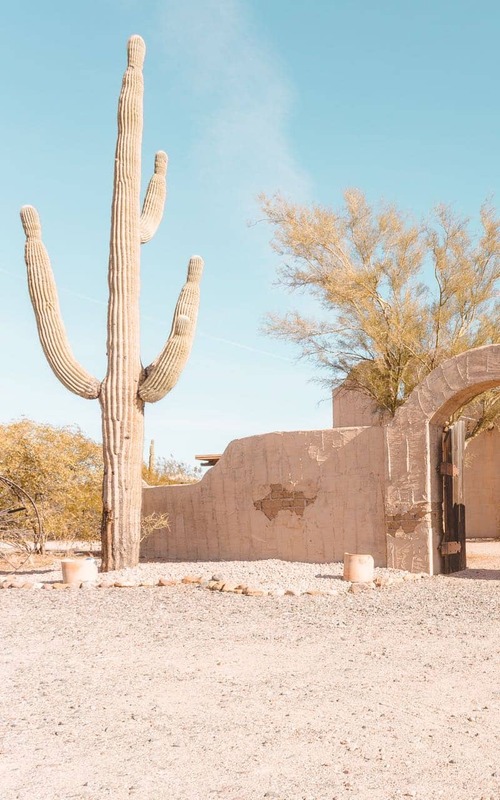 I live just down the road in Tucson, and I’m always looking for a any excuse for a quick getaway!